Facilities | Natural Encounters, Inc. 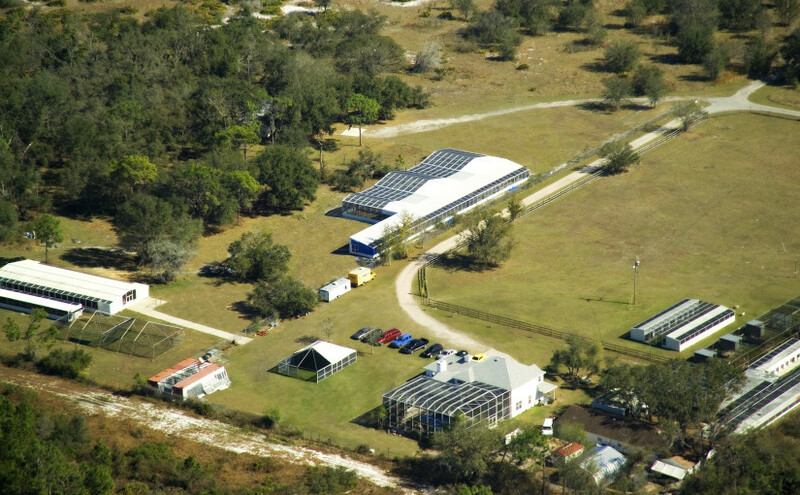 Located in Winter Haven, FL, the facility affectionately known as “The Ranch” is NEI’s home base. While our birds are not actively wowing and inspiring audiences in zoos and theme parks across North America, you can find them at the Ranch. Birds that are in training for shows learn and refine their behaviors here, and will return here to live after their time at the show is over. The Ranch provides an ample amount of space to train free-flight behaviors. There is a beautiful 10-acre field that is an ideal spot to fly birds preparing for shows. Sitting on 34 acres of land, we house a very diverse collection of birds. The massive Harpy Eagle (Harpia harpyja), the rare Blue-Throated Macaw (Ara glaucogularis), and the elegant Black Crown Crane (Balearica pavonina) are only a few of the incredible species we house at the Ranch. More than 50 different species are represented in our collection of over 300 birds! And birds aren’t the only animals who call the Ranch home. 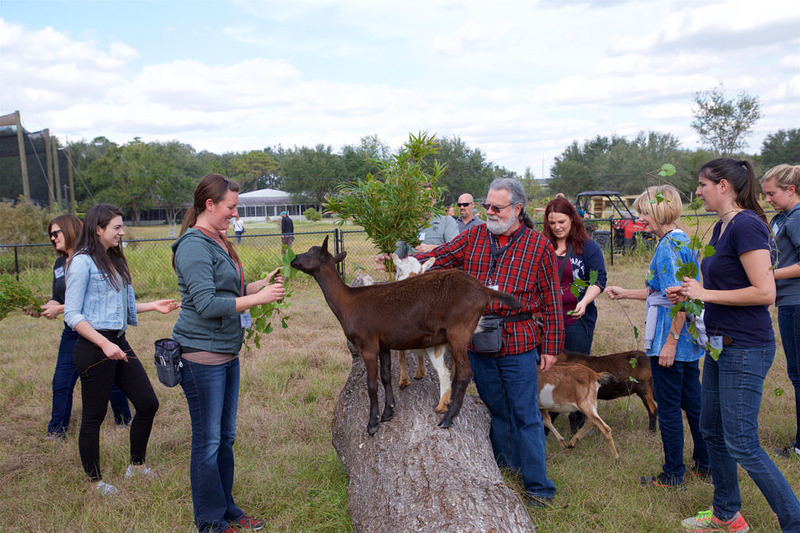 We also have three miniature donkeys and six wonderful goats who are great at picking up novel behaviors during training workshops. And of course, we can’t forget to mention our intrepid Ranch dog Hendricks! Along with training, breeding is another priority. We have breeding enclosures for several different species including Blue-throated Macaws, African Fish Eagles (Haliaeetus vocifer), White-necked Ravens (Corvus albicollis) , and Military Macaws (Ara militaris). Last but not least, the Ranch is home to our Training and Education Center. Daily meetings with the NEI trainers are held here, and when workshops come around this building is transformed to an enlightening classroom where some of the brightest minds in the animal field come to teach and to learn. We are always looking towards the future, and are excited about the ongoing growth and development of the Ranch! Applications Now OPEN for Professional Training Workshop! We are pleased to announce our Professional Training Workshops at our Training Facility in Winter Haven, Florida for December 7 – December 12, 2019 and January 25 – January 30, 2020. For more information about the IATCB and the certification process click here. Copyright © 2019 Natural Encounters, Inc.